May is coming to an end reading friends–has your TBR pile grown any smaller? Mine has, incrementally. I’ve been writing a lot again this month, so reading time has been hard to find. But I typed the last words this week, so I’m planning a reading binge to recharge my batteries. At the moment, I’m about halfway through Georgette Heyer’s last novel–a historical fiction piece (rather than one of her famous Regency romances) that centers around John, Duke of Bedford, brother of Henry V. It’s an incomplete manuscript, as Ms. Heyer passed away before finishing it (in fact, it stops mid-sentence), so I’m preparing myself for the lack of closure in this novel. But I’ve enjoyed the first half immensely, and I’m looking forward to the rest! Would Darcy Have Ridden a Bicycle? The combination of this fantastic print and the discussion in the UK press recently about encouraging cycling and making it safer prompted this post. 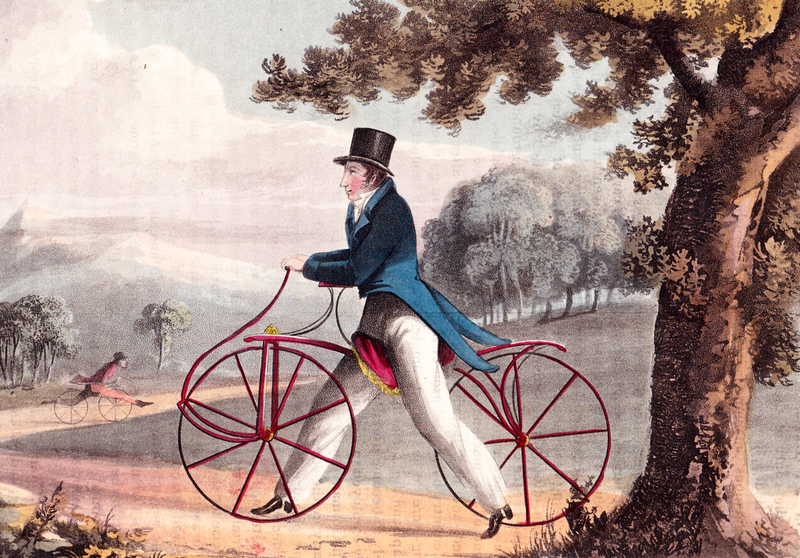 Unfortunately the “Pedestrian Hobby Horse” arrived in England soon after Jane Austen’s death – I’ve love to know if she’d have ever given one of her characters a ride. I can imagine Lydia Bennett, skirts flying, shrieking with laughter! The print, from Ackermann’s Repository (1819) is entitled Pedestrian Hobbyhorse and the text says it was invented by Baron von Drais, “a gentleman at the court of the Grand Duke of Baden.” The baron apparently invented a horseless carriage powered by two servants but it proved heavy and expensive so was abandoned, much to the relief of the unfortunate servants, I imagine! Liebster Award for And Then He Kissed Her! 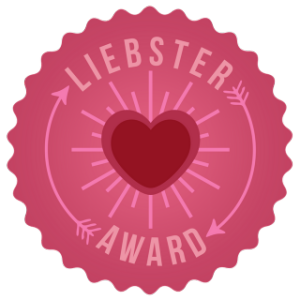 Way back in May, my little blog here was nominated by Badass Romance for a Liebster award. How cool, right? Some recognition for the work I’ve put in making this little slice of the internet historically accurate and infinitely interesting! The Liebster is a cross between an electronic thumbs-up and a chain letter. It’s a way for bloggers to recognize blogs they think are awesome, yet have 200 or fewer followers. It also requires its recipients to post facts and answer questions about themselves and their blogs, and to continue the chain by nominating other blogs. In all seriousness, I’m thrilled that Pamela thought of me when she drew up her list of nominees/winners. Not only did I get that nice warm-fuzzy feeling because she likes me (yay! ), but I got to poke around on her blog, too. I found a well-spoken woman with similar tastes in books–a kindred spirit! I have lived in 3 different states, but never outside the Eastern Time Zone. I bought my first graphic novel at the age of 30. My favorite sport is ice hockey. I only became a tea drinker when I returned to the Midwest, and that was under duress—winters are cold here, and one can only drink so much hot chocolate. 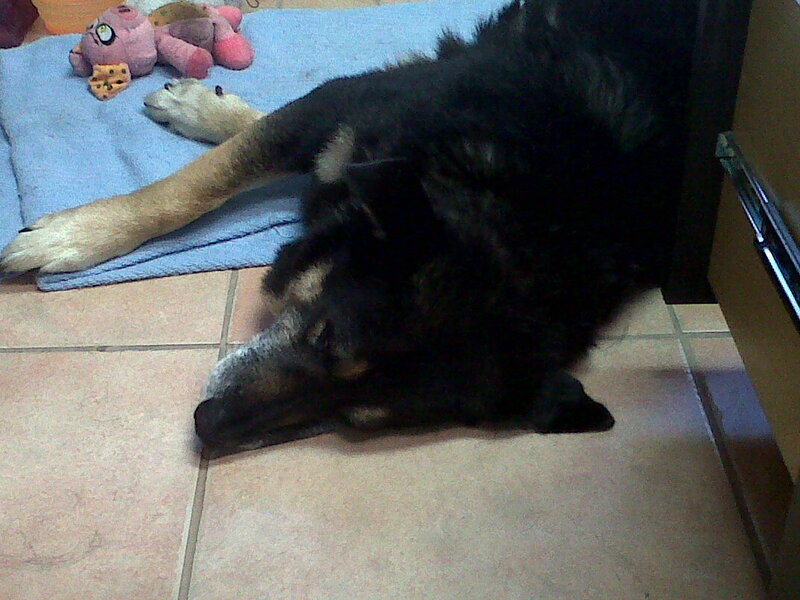 I have owned 3 dogs as an adult, each one larger than his predecessor. Even though I write historicals, my characters and scenes are often inspired by modern music (Linkin Park, Queen, Maroon 5, The Platters, etc). I’ve found at least one song that I like in every musical genre I’ve ever heard (check my iPod—you’ll see!). I’m terrible with plants. Dogs and cats will remind you to feed them, but flowers don’t talk. I have a fondness for both Richard III and Henry VII. What is your favorite actual trophy or other award you can put on a shelf or hang on a wall? My First Place certificate from the Ignite the Flame contest last year, run by the Central Ohio Fiction Writers. Jane Eyre or WutheringHeights? I haven’t read Jane Eyre yet, but I remember Wuthering Heights being a bit too Gothic for me. 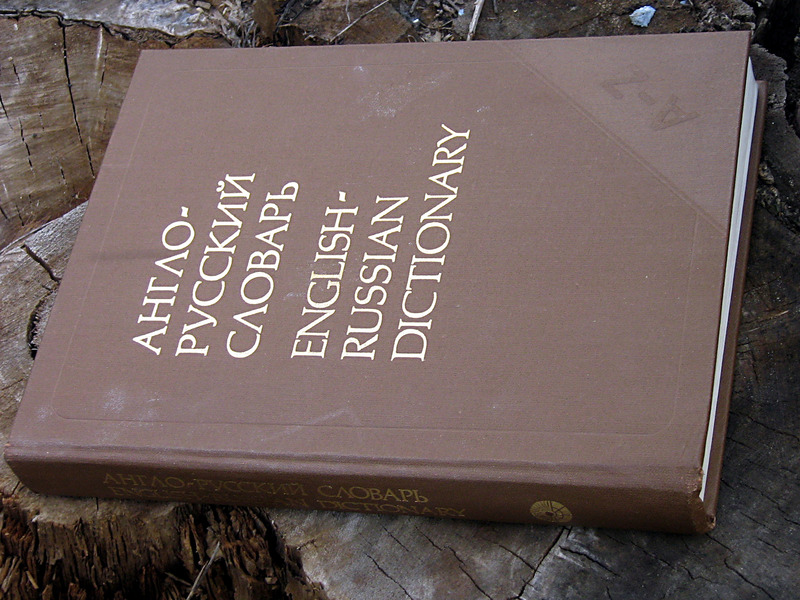 What book is the most recent addition to your DIK [desert island keeper] shelf? 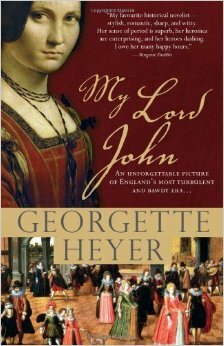 The audio version of Georgette Heyer’s Sylvester (and not just because it was read by Richard Armitage 🙂 ). Yes it was abridged, and I normally hate that, but Phoebe was magnificent, and Tom was a wonderful side-kick. The story itself was a lot of fun, too—I found myself laughing quite a lot as I listened. What book is at the top of your TBR stack? There are so many, it has ceased to be a stack and has developed into several bins and a huge Kindle collection. The last book I ordered was Bosworth by Chris Skidmore, and I’m looking forward reading it…hopefully soon. What book keeps getting remaindered at the bottom of your TBR pile, and do you think you’ll ever get around to reading it? I’ve had Dead or Alive by Tom Clancy for a couple of years now, and I’m not sure if I’ll ever get to it. I love the Jack Ryan novels, but there was such a long time between them I’ve forgotten a lot of what happened in the previous books. Medieval castle or Mediterranean villa? The villa would certainly be better for my health than a drafty old castle, but I’d have so much more fun exploring the castle! What did you eat for breakfast? Blueberry waffles. How do you feel about time travel plots? I like them if they’re set up well. Diana Gabaldon’s Outlander series and Sarah Woodbury’s After Cilmeri series are two of my favorites. http://rakesandrascals.wordpress.com/ Reviews of a romantic nature and much more. http://susanaellisauthor.wordpress.com/ For readers and authors of historical romance. http://regencyredingote.wordpress.com/ Historical snippets of Regency England. http://cavalrytales.wordpress.com/ British cavalry in the 19th century and other jottings. http://romancereadergirl.com/ Reading and chatting about romance. http://janeaustenslondon.com/ Walks through Regency London. http://rakesroguesandromance.com/ Historical Romance–because passion lives forever. http://amypfaffauthor.wordpress.com/ Regency romances with a touch of magic. If you could visit anywhere in the world, during any time period, where would you go? What would you do there? Have you ever seen a film adaptation of a novel you’ve read? If so, which was your favorite? 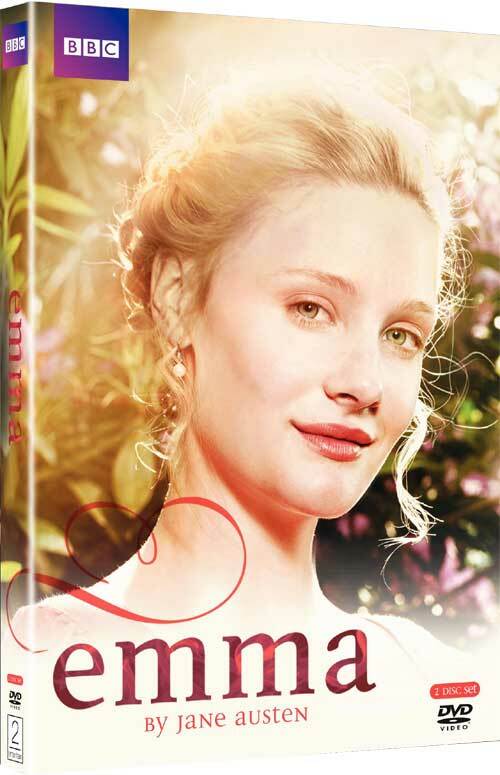 Have you ever seen a film adaptation of a novel you haven’t read that made you want to read it? Do you have a writing cave or a reading nook? What does it look like? If someone was new to your favorite genre, what book would you recommend they start with? 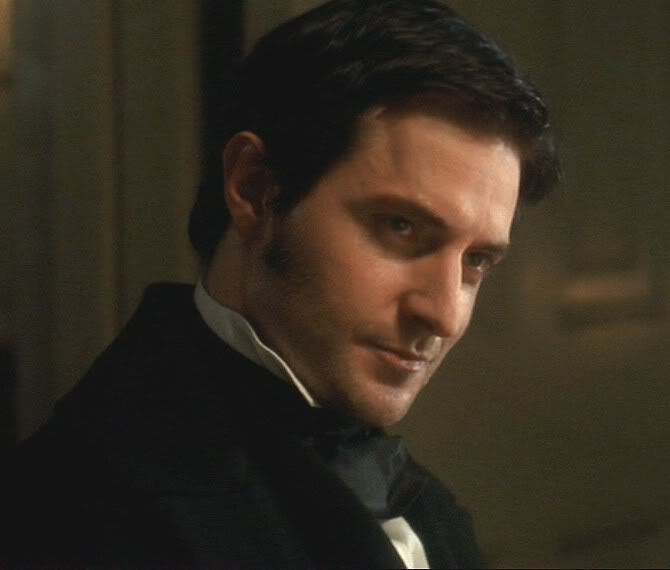 Mr. Darcy (from Jane Austen’s Pride & Prejudice) or Mr. Thornton (from Elizabeth Gaskell’s North & South)? There you go new Liebsters! Have fun! Hold on to your e-readers and mp3 players, ladies! 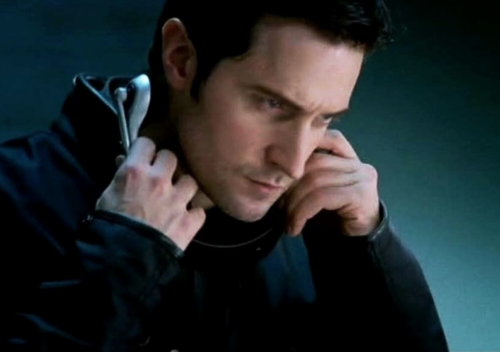 Our Friday Favorite this week is Richard Armitage. He’s best known for his portrayal of John Thornton in North and South, Lucas North in MI-5 (Spooks across the Atlantic), and most recently as Thorin Oakenshield in The Hobbit movies. But in the last few years he’s also gotten into audiobook narration, including three of Georgette Heyer’s novels: The Convenient Marriage, Venetia, and Sylvester. Excerpt from Georgette Heyer’s Venetia, complete with separate voices for each character.